In each installment of Just So You Know, I share with you one thing you should know about (like a hidden place to stay, a unique experience or incredible place to eat). Whatever it is, you probably don’t know about it…but now you do! What’s A “Bothy?” A bothy is Scottish/British word for a small, basic shelter. Bonus Info: The train from Glasgow to Mallaig has been called the “world’s best train ride.” You’ll pass through stunning Scottish Highland scenery and cross over the Glenfinnan Viaduct, the stone archway’d bridge featured in several Harry Pottery films. I’m going to be honest. 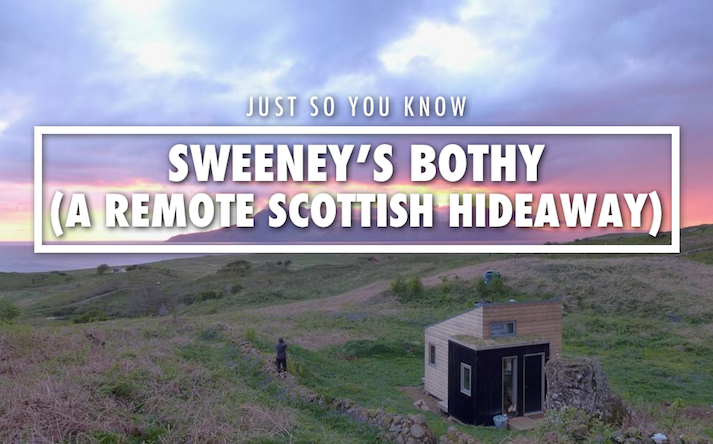 When I discovered Sweeney’s Bothy while doing some deep travel research on Scotland a few weeks ago, I didn’t want to share it. I’d been researching for hours, and don’t remember how I found it, but remember immediately wanting to keep this place all to myself. 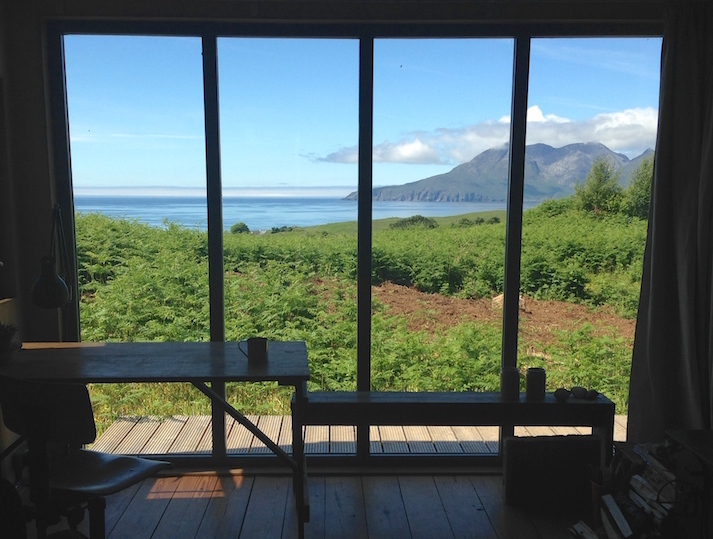 Because Sweeney’s Bothy is my most reoccurring daydream incarnated. 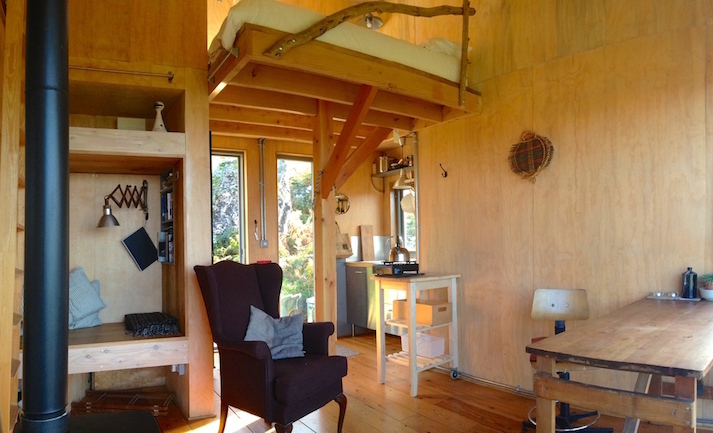 A far away tiny cabin with everything you need and nothing you don’t, set amongst jaw-dropping scenery. This is the place I escape to in my mind and I wanted to keep it sacred — and a secret. But what kind of travel writer would I be if I withheld it from you? A bad one. So here we are. Welcome all to my fantasy. 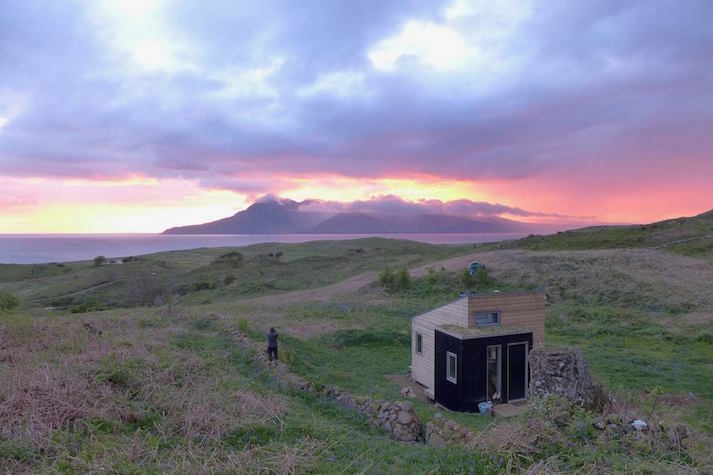 This isn’t just any little cabin in Scotland. 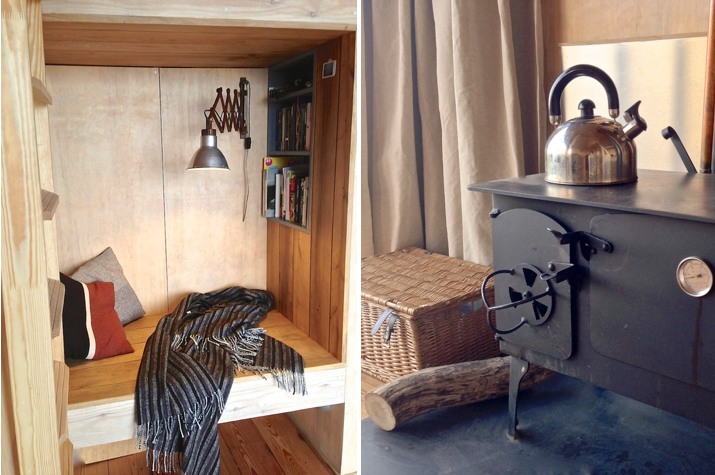 I’ve found several somewhat similar Scottish hideaways in my travel research over the years (like this one and this one), but Sweeney’s Bothy is my favorite. There’s something about its design, size, simplicity and setting that perfectly come together to place it at the top of my list. 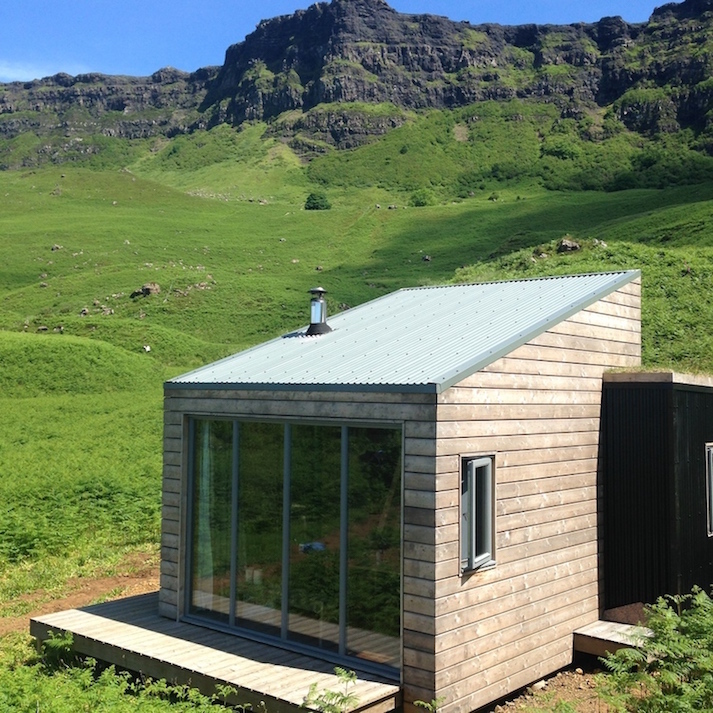 It also wins for its location on the Isle of Eigg — a tiny island off Scotland’s western coast. 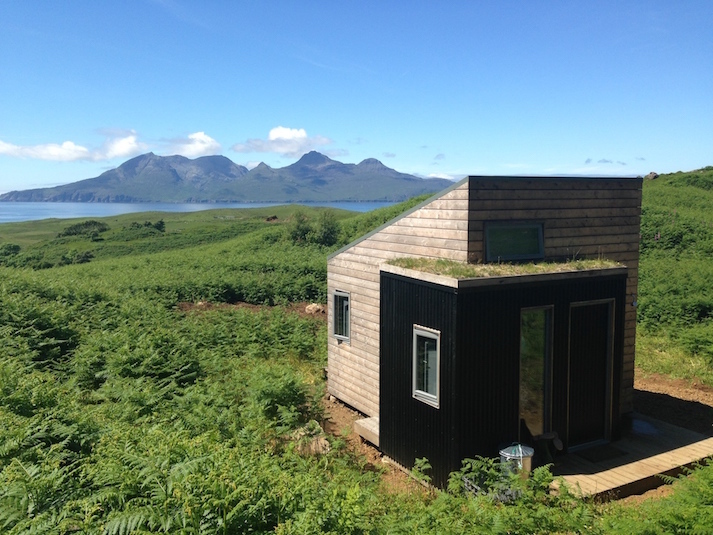 You can find several somewhat similar properties a bit further north on Scotland’s much larger and more touristed Isle of Skye (see “this one” links above), but staying on the Isle of Eigg feels a bit further out of the way — and therefore a bit more secluded and a bit more special. 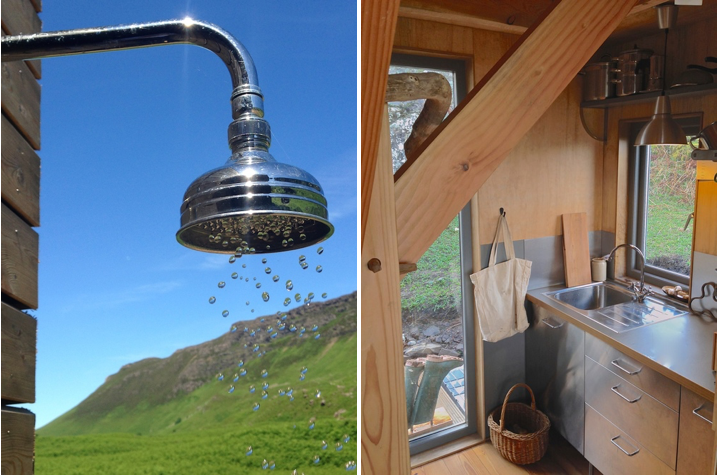 I haven’t personally stayed at Sweeney’s Bothy, but will continue to daydream about it until I do! Photo Credit: All photos by Eigg Time. You can see more in their image gallery.